The mural opened up the ceiling and created a subliminal impression of light and space, bringing the impression of a summers day into the room. The vine and trellis acted as a framing devise allowing an easier transition from the real into the fictional. 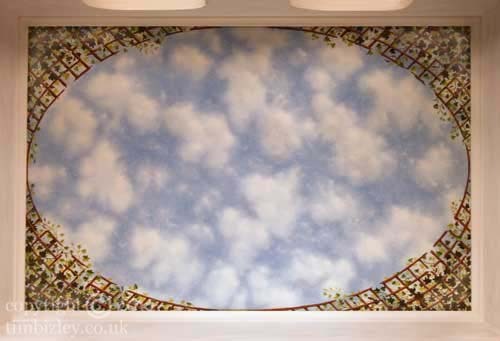 A specialist decoration mural can lift a room from the everyday into something enlivening and inspiring to live in.